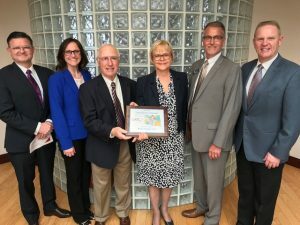 Central Electric Cooperative (CEC) has been named a Partner for Progress award winner by the Oklahoma Association of Technology Centers. 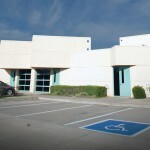 CEC and Meridian Technology Center have a relationship spanning at almost three decades. 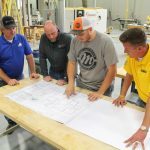 The partnership began back when it was Central Rural Electric Cooperative and Indian-Meridian Vocational School, Meridian offered an electrical lineman program to help train employees for the expanding utility industry in the area. 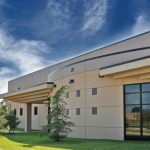 Over the years, as the industry evolved and new skill sets were needed in the organization, CEC and Meridian have worked together to meet training needs. Recent training partnerships have included customer service skills, Gallup StrengthsFinder, process improvement training, Franklin Covey Five Choices and UAS Part 107 certification test preparation for unmanned aerial systems. Eastham added that CEC leadership encourages employees throughout the organization to partner with Meridian to provide tours, be class speakers, serve on business and education councils and conduct demonstrations of emerging technology. Central Electric Cooperative is leading the utility industry with their cutting-edge processes and technological initiatives. They are not only changing the way their approximately 15,000 members spanning seven counties connect to power, but they are shaping the future of next generation utility providers across the state and nation. Photo: CEC has been named a Partner for Progress award winner by the Oklahoma Association of Technology Centers. Accepting the award from left to right are David Swank, CEC Chief Executive Officer; Michelle Perzee, CEC Chief Operations Officer; Len Tontz, CEC Board of Trustees; Carol Dvorak, CEC Board of Trustees; Dr. Douglas Major, Meridian Technology Center Superintendent/CEO; and State Representative Greg Babinec.